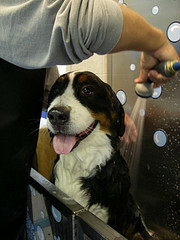 Muttbusters Dog & Pet Wash | Mudbusters Carwash Co.
We love our pets! Myself, I have three dogs and two cats, bringing great joy into my life. 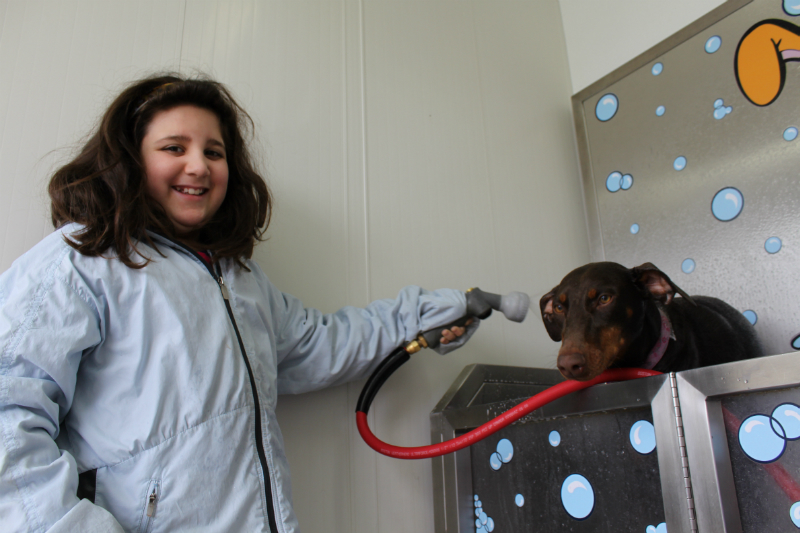 Mudbusters Carwash has FOUR self-serve dog washes at TWO locations! Please make sure you hit the stop button when you are finished. Across the street from Fred Meyer, next to Burger King. 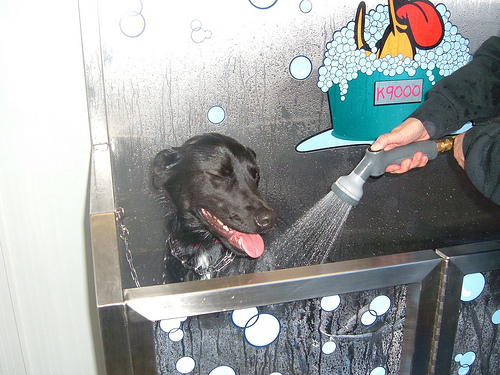 Mutt-Busters Dog wash rooms are designed to provide you with a safe and comfortable environment to bathe your pet. Elevated tubs eliminate bending and stooping. Easy access door and collar chains to strap that puppy in. Tubs have clear sides which ensure small dogs don’t feel claustrophobic, while their larger companions can see over the side. 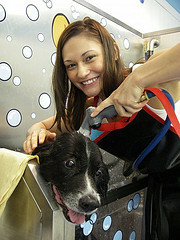 Special mixers custom blend water and shampoo or conditioner to shower your dog with a soothing, refreshing mixture. We also provide quality pet care products. Tearless scented shampoo, which adds shine and luster. Oatmeal treatment shampoo, that thoroughly cleans hair and relieves dry, itchy skin. Fur softening conditioner, that reduces tangles and mats, conditions coat to a brilliant sheen. Blow dryer, and mint scented tub disinfectant. Combs, poncho’s, dog treats and more available in the doggy vender.